"This is the most sensitive asset to ever be housed in this facility." 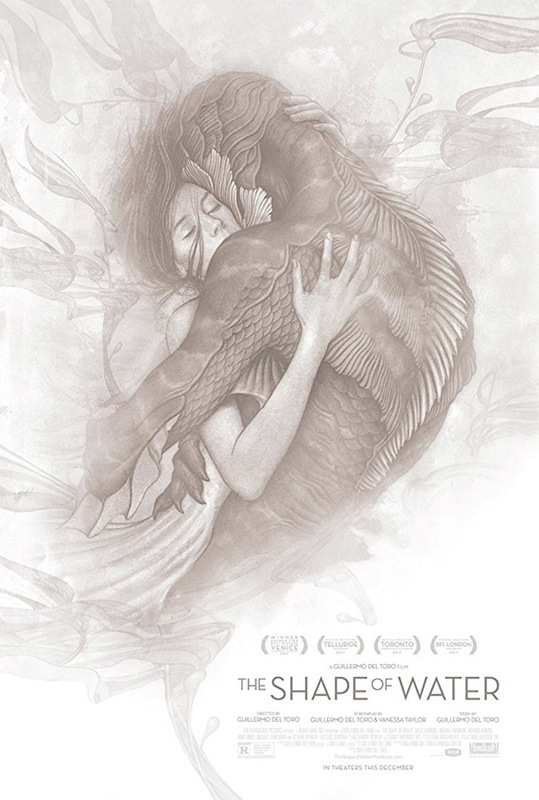 Fox Searchlight has revealed a brand new red band trailer for Guillermo del Toro's The Shape of Water, which won the Golden Lion top prize at the Venice Film Festival. This fairy tale romance set in the 1960s at a secret government laboratory stars Sally Hawkins as a lonely, mute woman who discovers a classified "experiment" and falls in love with him. Doug Jones co-stars as the fish creature. The excellent ensemble cast also includes Michael Shannon, Michael Stuhlbarg, Octavia Spencer, Richard Jenkins, Lauren Lee Smith, and John Kapelos. This film was my favorite of the Venice Film Festival, and has been getting rave reviews from critics all over the world. You definitely don't want to miss it when it hits theaters soon, it's one of the best films this year. You can also still watch the first full trailer for The Shape of Water here, or read Alex's Venice review here. An other-worldly fairy tale, set against the backdrop of Cold War era America circa 1963. In the hidden high-security government laboratory where she works, lonely Elisa (Sally Hawkins) is trapped in a life of silence and isolation. Elisa's life is changed forver when she and co-worker Zelda (Octavia Spencer) discover a secret classified experiment. The Shape of Water is directed by visionary Mexican filmmaker Guillermo del Toro, of Cronos, Mimic, The Devil's Backbone, Blade II, Hellboy I & II, Pan's Labyrinth, and Crimson Peak previously. The screenplay is written by Guillermo del Toro & Vanessa Taylor; based on an idea by del Toro and Daniel Kraus. This is expected to premiere at the fall film festivals. Fox Searchlight will release GdT's The Shape of Water in select theaters starting December 1st this fall. Who's in for this?